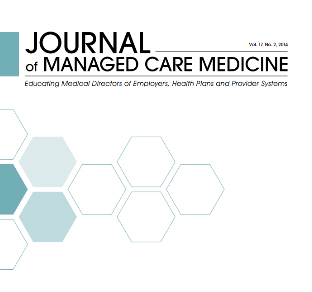 The Journal of Managed Care Medicine (JMCM) has released its new website at www.jmcmpub.org. The website features current issues, past issues, supplements and much more. Be sure to visit the website for updates on the latest topics in managed care medicine. If you are interested in advertising on the website or in JMCM, please click here. If you would like a free subscription to the Journal of Managed Care Medicine, click here and fill out the form. The Fall Forum will feature the first Annual Innovation Awards for the NAMCP Medical Directors Institute, AAMCN and AAIHDS. If you are interested in applying for this award, please contact Katie Eads at keads@namcp.org or 804-527-1905 and we will send you an application. 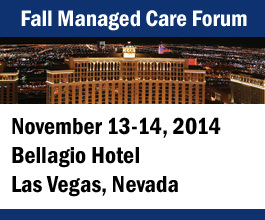 The Fall Forum will be held Nov., 12-13, 2014 at the Bellagio Resort in Las Vegas, Nevada for medical directors, nurses and administrators. The Forum features up-to-date, useful information on the ACA and healthcare changes, trends and how to improve patient outcomes. Click here to see the agenda, speakers, register and for more information on the conference. Austin Frakt writes: A confession: I am a health economist, and I cannot rationally select a health plan. I buy health insurance through the Federal Employees Health Benefits Program, which is very similar to the Affordable Care Act’s exchanges. Like the exchanges, the federal employee program runs an online marketplace with a choice of plans, which vary by region. Most workers don’t have a lot of choice among plans offered by their employer. The pressures and drivers to reduce costs, improve quality, emphasize prevention and increase access are making social media and the underlying technologies more attractive to healthcare leaders. They can be effective and efficient tools for the delivery of communications to targeted individuals and/or populations. As a result, those leaders who recognize that we must change the way care is provided are starting to explore new ways of engaging patients across the continuum of care. If you’re among the 149 million Americans who get health insurance at work, now may be the time to select your health insurance coverage options for 2015. History shows that many employees are inclined to stick with the plan they had last year – if that’s still an option. But as the price of healthcare continues to rise, employers are making changes that can impact both your costs and access to care. Placing an emphasis on case management for patients with the most serious conditions and co-morbidities has paid off for two participants in the Pioneer ACO program. Three years after launching its Medicare Accountable Care Organizations program, also known as the Pioneer ACO program, the Centers for Medicare & Medicaid Services has published financial results and quality performance data. A CMS initiative will help ACOs in rural locations use health IT for better access to care. CMS announced that $114 million dollars in funding will be available to aid ACOs that participate in the Medicare Shared Savings Program. "The ACO Investment Model will give Medicare accountable care organizations more flexibility in setting quality and financial goals, while giving them greater accountability for delivering quality care efficiently," said CMS Administrator Marilyn Tavenner, according to Healthcare IT News. The Food and Drug Administration authorized use of two new diagnostic tests for Ebola that can produce results in two hours, compared with what can usually take four hours. The agency said it was giving emergency use approvals to two tests from BioFire Defense LLC, one for use in hospitals and commercial laboratories, the other only in labs designated by the U.S. Department of Defense. The U.S. Food and Drug Administration approved two new drugs that are the first treatments shown to slow the progression of a fatal lung disease that kills up to 40 percent of patients within five years of diagnosis. The FDA approved the drugs, Roche Holding’s Esbriet and Boehringer Ingelheim GmbH’s Ofev, to treat idiopathic pulmonary fibrosis, or IPF, a condition whose cause is unknown but which is devastating to the roughly 100,000 people in the U.S. who have the disease. MRgFUS is being used in clinics across America to treat uterine fibroids and pain palliation for metastatic bone tumors. It’s a completely non-invasive procedure performed on an outpatient basis where patients report an improvement in QoL within days, not weeks. Discover InSightec now. Science must look at genes and the proteins they express in their full context, not just in isolation, according to an up-and-coming young genetics researcher. "Traits don't exist in silos," said Jennifer Below, Ph.D., of the University of Texas Graduate School of Biomedical Sciences in Houston. Individuals with a genetic predisposition to high levels of LDL cholesterol are at risk for aortic-valve calcification and aortic stenosis, according to the results of a new study. Using a weighted genetic risk score for lipids, one that incorporated multiple single nucleotide polymorphisms known to be associated with LDL-cholesterol, HDL-cholesterol, and triglyceride levels, the researchers showed that a genetic elevation in LDL cholesterol is associated with the presence of aortic-valve calcification and incident aortic stenosis. Do you eat certain foods because they give you a feeling of euphoria? Do you have a certain food item in which you indulge when you feel sorry for yourself? Are there certain foods you like to eat only when you are alone? Finally, are there certain foods that once you start eating them, it is almost impossible to stop? These could be your substance triggers. A trigger is any person, place, thing, situation — or food — that has a tendency to cause one to overeat. Some people consider their substance triggers to be "comfort foods." It sounds like a chocolate lover's dream come true: Researchers at Columbia University have found that an antioxidant present in chocolate appears to reverse visual memory loss associated with aging. While the study was small, it could have large implications and is already encouraging further research. A new way to to use stem cells to fight brain cancer is revealed in a proof-of-concept study published in the journal Stem Cells, where scientists describe how they got the cells to produce and release toxins that kill only tumor cells. Colon cancer is the second leading cause of cancer deaths in the United States, but it doesn't have to be. Now, a new, non-invasive home test for colon cancer will make screening more accessible to the millions of people who have avoided it. Colonoscopy is recommended once every 10 years for adults over the age of 50. However, about 23 million adults in that age group don't get screened at all, and a reason for some may be that the test is too invasive. Your genes have a lot to say about who you are and how healthy you are. But for certain diseases, including cancer, so many genes are likely involved that it’s hard for doctors to come up with a useful, reliable way to turn your DNA information into a precise risk score. People facing mental health challenges are significantly more likely to have heart disease or stroke, according to a study presented today at the Canadian Cardiovascular Congress. "This population is at high risk, and it's even greater for people with multiple mental health issues," says Dr. Katie Goldie, lead author of the study and a postdoctoral fellow at the Centre for Addiction and Mental Health in Toronto. Anyone familiar with feelings of worry, stress and anxiety knows that getting to a calm, peaceful place isn't always easy. As society becomes increasingly aware of how common anxiety is — and how much it can affect one's health — stress-busting smartphone apps are popping up everywhere. "The largest waterborne disease outbreak in United States history occurred in 1993 in Milwaukee when over 400,000 people became ill with diarrhea when the parasite Cryptosporidium was found in the city's drinking water supply."